Music is known as a universal language able to convey any emotion or message. It brings us back to places we once visited, people we once knew, and events that are ingrained in our memory, taking us to places near and far as if we were right there in the moment. We are pleased to offer musical proficiency in addition to other services offered. We will learn special music, create something personal for you, and perform the music you select for your ceremony. As a musician and songwriter, Ter Lieberstein is able to express her thoughts, feelings, and experiences through original music in a way that people of all ages can understand and enjoy. She has worked with numerous musical groups, including Hollywood Early Music Players, the Insomniacs, Miscellany, Elemental Harmony, and Voices of Women. 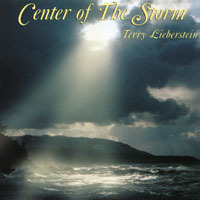 Her eclectic songwriting style and interests are reflected in her two CD’s: “Center of the Storm”, a compilation of inspirational music; and “Turkey Burps and T-Ball”, a collection of heart-warming, silly and fun family songs. Her warmth and enthusiasm guarantee a lively and inspiring concert, workshop, ceremony or other type of musical program. Click the link to purchase downloads or full CD’s from CD Baby! 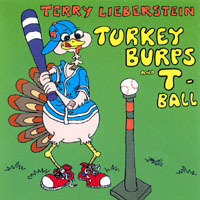 Turkey Burps and T-Ball: Fun, original songs for the whole family. © Copyright 2017 Lovingstone Productions | All Rights Reserved.